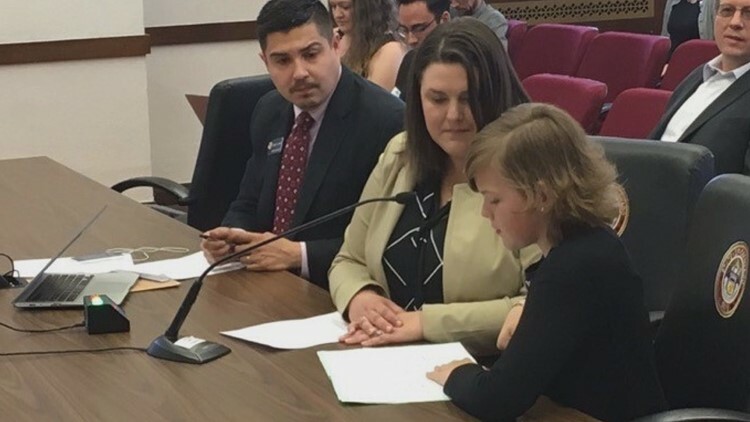 Jude's Law, sponsored by Rep. Daneya Esgar, (D-Pueblo) will allow transgender Coloradans the ability to get new birth certificates without having to undergo surgery or appear in front of a judge. DENVER — A bill giving transgender Coloradans an easier route to changing the gender on their I.D. is one step closer to becoming law. The bill, called Jude's Law, passed the House on Friday. It’s named after a Colorado transgender student who's been testifying in support of it for the last four years. "I do realize now how kind of insane it was for a 9-year-old to be testifying," Jude said. Jude, whose last name we're withholding for safety reasons, is now 12 years old. She started transitioning right after turning 9. “A few days after my birthday, I told my mom and my sister I didn't feel like a boy and that I felt like a girl,” she said. "In the house, I would wear dresses and I'd be who I really am, you know?" Jude said this bill if turned law, it will help her and other people who identify as transgender become their authentic selves. Jude's Law, sponsored by Rep. Daneya Esgar, (D-Pueblo) will allow transgender Coloradans the ability to get new birth certificates without having to undergo surgery or appear in front of a judge, which is what they have to do under current law. Jude’s Law will also allow transgender Coloradans the option of choosing X on their birth certificates, meaning that person doesn't identify as male or female. "When Jude came out, it taught me resilience and strength and how to speak for what's right for our kiddo and not to give up,” Jenna, Jude’s mom, said. “She's extremely courageous to show up and speak her truth." Jude says she got her confidence to testify from her mom. "My mom would always tell me suit up and show up," she said. "There are so many people who don't know really what this bill is about, so that's why I go to the Capitol each year and educate them." Jude’s Law will issue a transgender person a completely new birth certificate instead of an amended one, a process that can sometimes force a person to out themselves. This bill also removes the publication requirement for a transgender person wanting to change their name. Under the current law, a person needs to file legal notice in a newspaper three times and include their current name and proposed new name before they can change it. 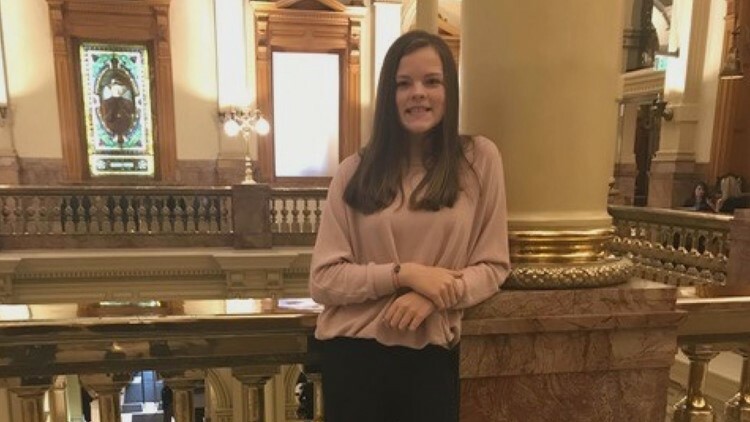 "It was scary at first because I knew that she was going to be telling other people outside of school, outside of our community that she was transgender,” Jenna said. “So I had that fear and I was also proud.” It's almost indescribable. To think that a bill is being named after our daughter who has shown up for the past four years and has never given up." Jenna said this has been a long but beautiful journey for Jude and her family. 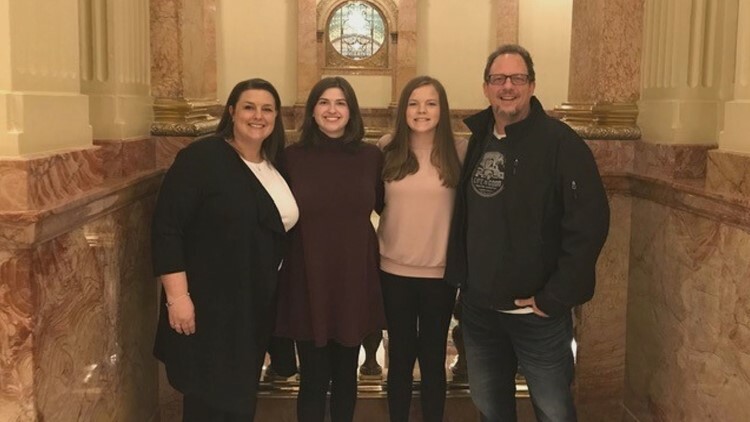 "I'm so honored and grateful that I can be a part of something that is so important to so many people in the state of Colorado,” Jude said. “I'm just really fortunate to be part of such a wonderful thing. To anyone who is thinking about transitioning or who has already transitioned, you are strong and you are great." Jude's Law now heads to the Senate where it's likely to pass with or without Republican support. A spokesman for the Senate Republicans said they'll now have a chance to review it before a vote.